Please join World Trade Center Delaware and the US Export-Import Bank (EXIM Bank) on September 28, 2018 at a breakfast Exporter and Financial Services Forum to find out how you can reduce the cost of international business. Date: Friday, September 28, 2018 Click here for more information. On the third Thursday of every month, the LGBTQ Committee of the Pyramid Club partners with LGBTQ friendly groups to provide an evening of food, drinks, and networking. These evenings offer participating groups the opportunity to connect and network. On Thursday on May 17, 2018, the LGBTQ Committee of the Pyramid Club collaborated with the BABCPHL, Barclays, Pennsylvania Ballet, PHYLA, and Resource Solutions for a British-themed happy hour. On Thursday, March 15, 2018, the British American Business Council of Greater Philadelphia hosted the seventh annual New Jersey networking event and dinner at The British Chip Shop in Haddonfield, New Jersey. More than 35 BABCPHL members and friends occupied the restaurant for a fun-filled pub night. Chip Shop proprietors offered attendees a superb selection of specialty beers and a wonderful meal including delicious appetizers, a main course and traditional tea and biscuits for dessert. 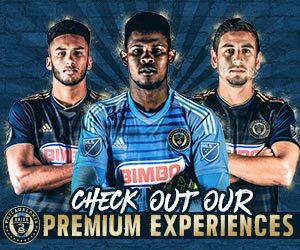 Adding to the enjoyment of the evening, Philadelphia Union presented each attendee with two complimentary tickets to a Philadelphia Union home game, in addition to raffling off a team signed soccer ball.